Mr. Wade currently serves as the President of Wade Associates Inc. Before joining the private sector, he served the federal service for thirty-five years, retiring as the Chief Information Officer (CIO) of the Central Intelligence Agency (CIA). During his tenure as CIO of the CIA, he also served as the CIO for the United States Intelligence Community. 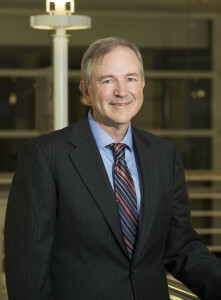 Before his assignment as the CIO, Mr. Wade held a number of senior positions at the CIA, including Director of Security and Director of Communications. During his career, Mr. Wade’s contributions were recognized several times. He is a recipient of the National Intelligence Distinguished Service Medal, the Director’s Medal and the Distinguished Intelligence Medal. Since his federal retirement, Mr. Wade has worked with several startup companies. He served on the boards of Safeboot N.V (acquired by McAfee® in 2007), Detica DFI (acquired by BAE Systems in 2008), Composite Software (acquired by Cisco® in 2013) and Applied Communications Sciences (acquired by the SI Organization, now Vencore, in 2013). He also serves on a number of public sector advisory boards for several technology companies. Mr. Wade received a Bachelor’s degree in Electrical Engineering from Virginia Polytechnic University and a Master’s degree in Electrical Engineering from The George Washington University.